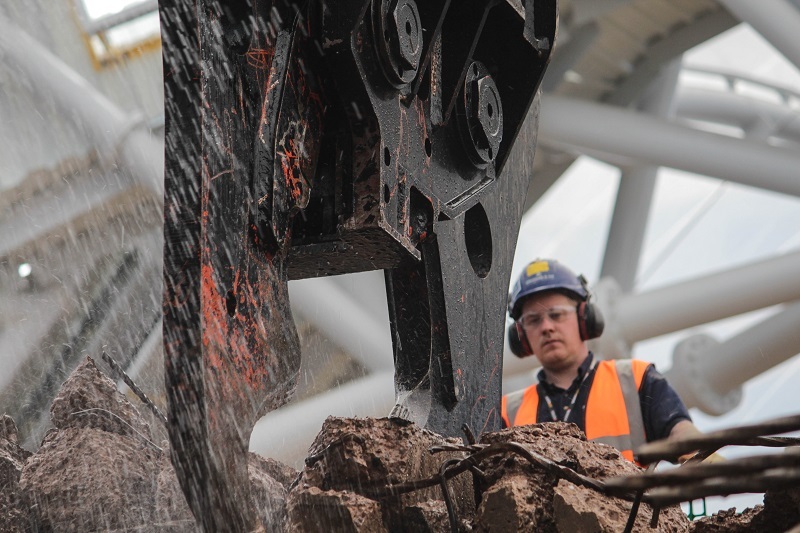 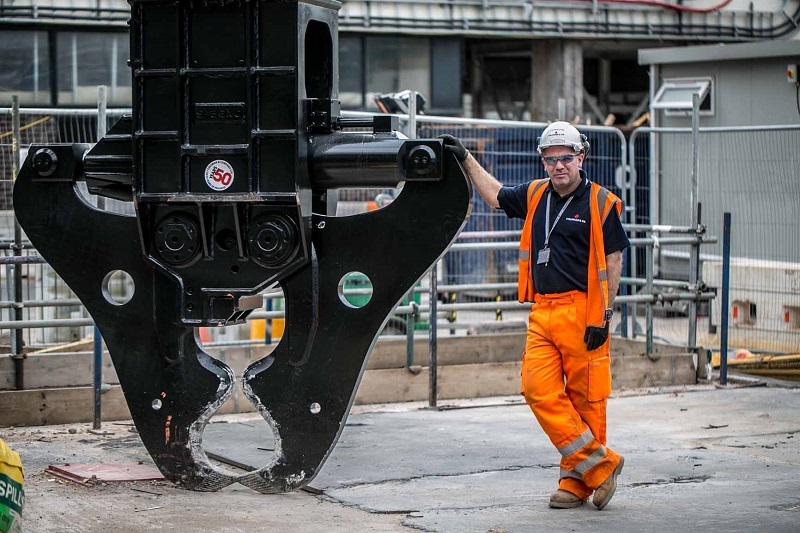 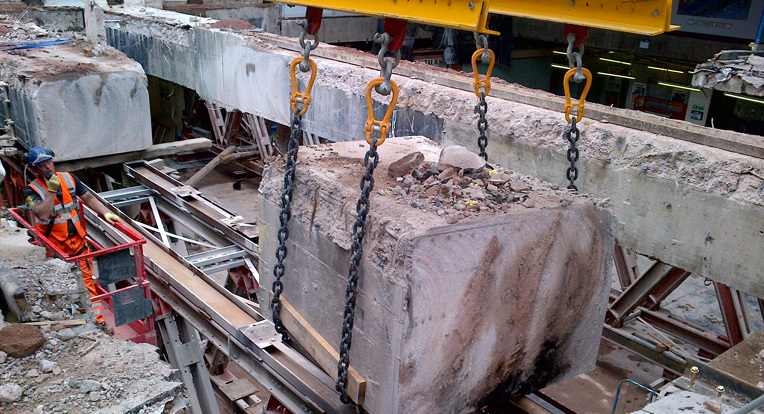 Background Following on from the success of Phase 1, Coleman & Company was appointed by Network Rail to carry out Phase 2 of the Birmingham Gateway Project to transform Birmingham New Street Station. 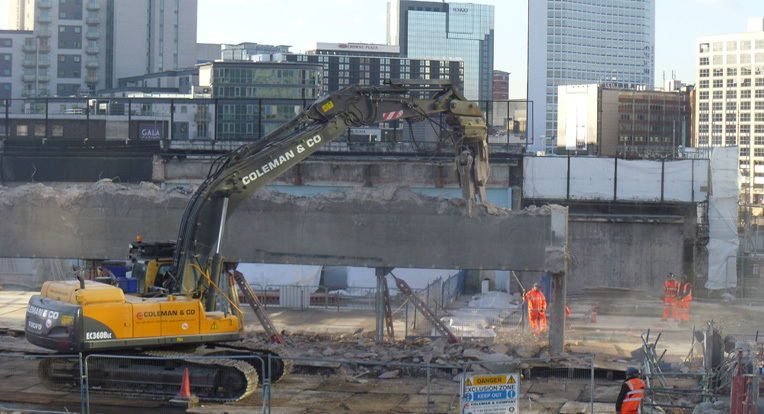 To carry out this work Coleman & Company, also joined forces with JCB, designing a bespoke demolition rig - specialist hybrid excavator. 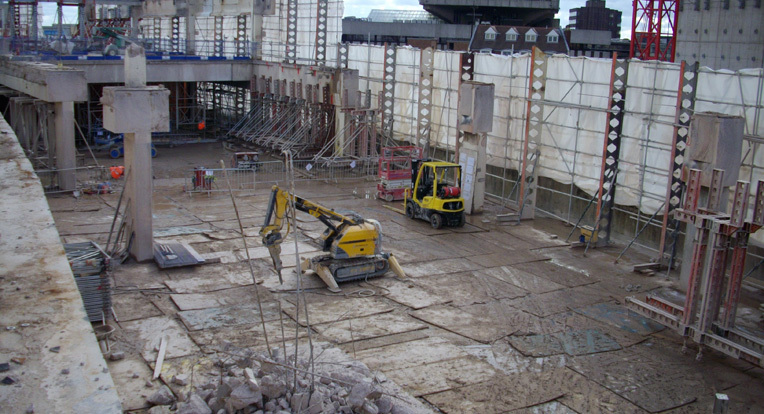 The project was situated under the multimillion pound atrium roof at the busy Birmingham New Street Station and above the Pallasades Shopping Centre. 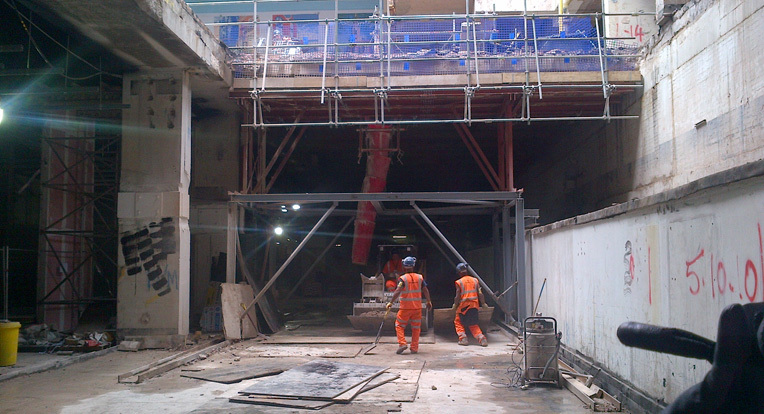 In a city centre location, the site was surrounded by commercial and retail units and within all major city centre access routes.